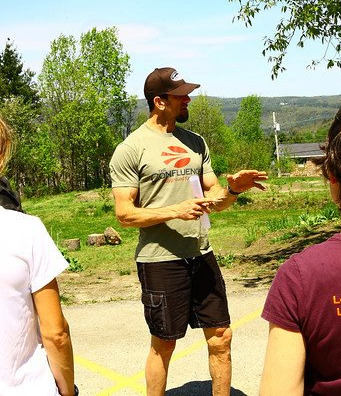 My original mission when founding Green Mountain CrossFit was to create a culture of fitness in Central Vermont...one where people from all walks of life could share a common passion for movement. CrossFit is just another way in which we can embrace physical activity as a critical component of our daily lives in Vermont and it's a joy to share it with others. I will continue to pursue this mission for as long as I can, and look forward to many, many years of working with our community to develop life-long athletes. Between a lifetime of scholastic sports, a collegiate and professional career in volleyball, and a long stint as an endurance athlete competing in Nordic skiing, running, triathlon and cycling, my specialty is to have trained at a high level in a LOT of different arenas of sport. I bring this training background to every class I teach and love discussing the issues of human performance and competition with our members. Olympic lifting, Rowing and Competitive CrossFit are the three areas where I have a particular passion in my coaching. Movement, exercise, strength, power - I love everything we can do with our bodies! I love helping people see how much they are able to do with their own body. I studied many facets of exercise and wellness while in school and when I found CrossFit, I found it to be the very best vehicle to deliver what I learned to as many people as possible. My experience as an athlete, a Yoga Teacher, and general Group Fitness Instructor, has provided me a solid foundation to build a CrossFit Training style of my own. I love to find people's strengths and use those to help support their growth in other areas of their own fitness. One's Wellness is drastically impacted by their fitness level, but that is not all that plays into building a more well body. Nutrition, Stress Management, and Sleep are some other areas of the human experience that peak my interest. I work with individuals and sometimes in group settings with our athletes to help discover ways to improve the full spectrum of their Wellness. For me, CrossFit began back in 2011 when I was ready to get my pre-baby body back. After a rough pregnancy I was feeling lost, depressed, and needed a way to not only get in shape, but also have some time with adults and make some friends. I don't think it really hit me in my first class, but somewhere along the line CrossFit really helped shape me into who I am. I found confidence in myself, rediscovered my competitive nature, and after CrossFitting through my second pregnancy I realized that I'm actually a bit tenacious. I got my Level 1 Certificate in 2014 as a springboard into a new career path and I've been lucky to work as a trainer for Green Mountain CrossFit since early 2015. I'm a "people person". I enjoy forging relationships with the people around me, learning about them, and being there as a coach and support system. I love helping people learn a new skill, or push themselves to discover new strength. My passion is seeing other people surprise themselves and find joy in their movement. I can't believe I actually get paid to do this! My CrossFit journey started in 2010 when I turned 40 years old and realized that the 25+ extra pounds I was lugging around were not going to go away on their own. I can relate to folks who are starting from scratch and are new to Crossfit. From frustration and struggle through soreness and, thankfully, to progress, I have been through and continue to go through it all and hope to be able to guide folks on their journeys. CrossFit has rekindled my love for jumping rope, which is something I did as a kid and young adult. Helping people get their first double under or string a bunch of them together is always especially gratifying for me. I was an elementary school art teacher for 5 years and also coached middle school girls' basketball during that time. I recently received my CrossFit Level 1 certification. I have been coaching officially since June 2015 but have been sticking my nose into people's Oly lifts and giving jump roping tips for years now. I have played sports my whole life, including football and basketball in high school, and a year on the Emerson College basketball team. After college I played basketball to stay in shape in leagues and pickup games in MA and VT. You can still find me chasing kids half my age up and down the court-- only now sometimes they have to chase me, thanks to Crossfit! Shannon is an avid frisbee golfer who enjoys spending time in the kitchen with his twenty cats while cooking up some fantastic vegan food. He his hoping to add Zumba Instructor to his long list of accomplishments in 2018. My journey to CrossFit started with a marathon: I ran the Green Mountain Marathon in October of 2012, promptly swore off distance running, and wandered into the Green Mountain CrossFit two days later looking for a new place to workout. I started my first on-ramp class that night, and although I couldn’t even air squat to full depth at that point, I quickly began to see major progress and soon I fell in love with CrossFit and our community here at GMCF. Growing up, I played competitive soccer all through middle school and high school, and dabbled in other sports like water skiing, snowboarding, cross country running, swimming, and more. As an adult I struggled to find a fitness methodology that really suited me, jumping around between outdoor cycling, distance running, yoga, Pilates, and other random programs. 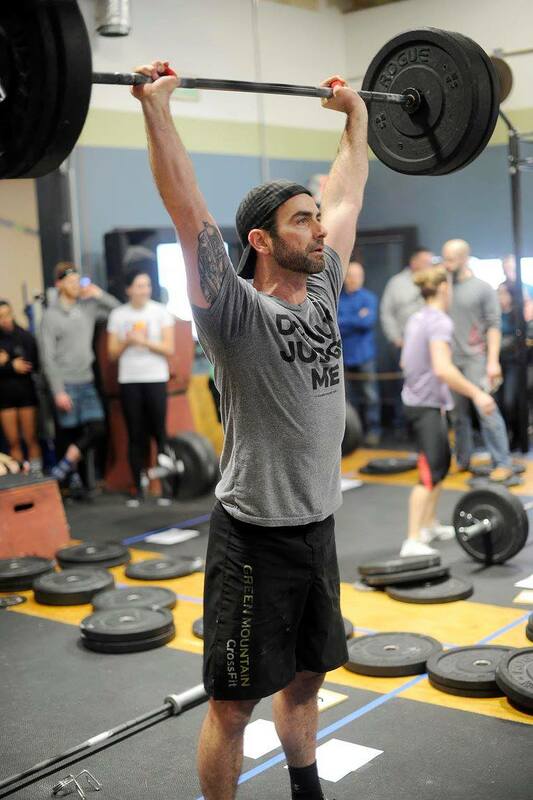 When I found CrossFit, however, I found that team atmosphere that I’d enjoyed so much as a high school athlete, and my friends here at GMCF have really made me better than I ever could have been on my own. I never thought I’d be able to do a pull-up or a handstand push-up, but CrossFit has a way of making the impossible possible. Do you remember when you were a kid and you used to spend your nights out in the driveway shooting baskets and pretending you were in the NBA finals? Or when you scored a goal in your soccer game and imagined playing in the World Cup? Even though I never played at high levels like this, CrossFit has allowed me to keep up with a level of athleticism to which I have always aspired. Keeping me at a certain level of fitness, it allows me to stay out late under the lights at slow-pitch softball like I did when I was a kid, dreaming I’m at Fenway. I have found joy, strength and personal growth in the athletic experiences I have had my whole life, and coaching CrossFit allows me to share this passion with others. I love the community feeling Green Mountain CrossFit fosters and the amazing people I have met there since I became CrossFit Level I certified and began coaching in 2011. My other credentials include: father, husband, teammate, coach, friend. In addition to Pilates, Britt has been teaching strength training and Boot Camp style classes since 2001, adding CrossFit, dance fitness and parent/child movement over the last few years. Additionally, when she became pregnant with her first child, she studied the prenatal and post-partum body. After her births, she become well-versed at helping women identify and repair the separation of the abdominal muscles that are taxed during pregnancy. Her unique postpartum fitness classes focus on precisely those muscles, helping women safely repair the diastasis recti, a separation of the outermost abdominal muscle, common in most post-partum women. Her most recent class formats, Total Barre™, run + barre, and barre + Pilates have soared with popularity and nicely meld Britt's background in ballet barre with a variety of conditioning styles. Britt is an eternal student and is always studying anatomy and nutrition and pursuing advanced certifications in Pilates and CrossFit. When she isn’t in the studio teaching, she loves to enjoy time outdoors running, biking with her family, hiking, and snowshoeing. She also enjoys cooking delicious, nourishing food. Kerry McCarthy, PT, DPT, OCS and Crossfit level 1 trainer. I've been CrossFitting since 2011-12? (I'm not actually sure when I started....maybe it says in my membership info somewhere? It was right when they moved into their location at Central in Berlin from Montpelier). As a physical therapist I focus on helping people restore functional movement patterns and Crossfit's focus on functional movement fit nicely with my beliefs about movement and exercise. Having been a three sport athlete in high school and continuing recreationally in college, I began to lose my interest in team sports in my late 20s, and became more interested in weightlifting. Attempting some free weight programs on my own became boring very quickly. I had knee surgery in 2009 and was still battling some residual pain a few years later when I decided to try Crossfit. After the first on-ramp class my knee swelled up, but something told me to keep pursuing this new sport. I jumped right in, attending classes 5 days a week, and feeling all the squats in both my knees by Friday every week. I stuck with it and began to notice that instead of being able to only run for 2 mins before my knee began to hurt, I was back to running 5 miles and not feeling anything. My shin splints were gone and I felt my whole body getting stronger. The variability of the programming, the knowledge of the trainers and the friendly community has kept me hooked since. In my professional life as a physical therapist I am acutely aware of the gap that exists for many people between rehabilitation and fitness. Through the Fit 4 Life class I'm attempting to bridge that gap and am very thankful to GMCF for giving me the opportunity to pursue this. I've had a bit of dream of working for GMCF in some capacity ever since Nick founded The Confluence in Montpelier and I'm very excited to be a part of this awesome organization! I have been an athlete my whole life. As an adult, it was difficult to find an outlet that gave me the level of physical challenge that I experienced as a youth participating in organized sports. I have participated in softball, basketball, baseball, run half marathons, competed in triathlons and Tea Kwon Do. I still craved a way to push myself, work on improving myself and enjoy competition. 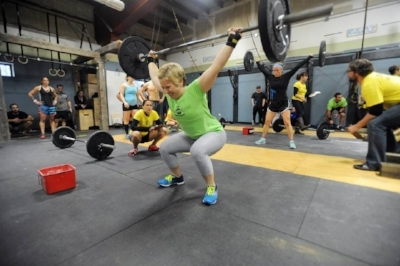 When I discovered Crossfit in 2010, I knew I had found what I had been looking for. I started coaching in 2012 and became Level 2 certified in 2015. As an athlete I seek mindfulness during my WODs, being present in the moment. Breathing in, breathing out - all other thoughts melting away - my body and mind working as one to accomplish a goal and push through mental and physical limitations. Every time I step into the box, I reach within to find that place and to discover constant personal improvement. As a coach I strive to help other athletes accomplish their goals. I gain the same sense of accomplishment, maybe more, coaching others. To be present in that moment when an athlete nails a lift, accomplish a goal or finally figures out a movement is incredible. Green Mountain Crossfit has given me the platform to share something I love. Crossfit has pushed me to grow personally and professionally as both an athlete and a coach. Regionals athelete. Fu manchu and mohawk aficianado. He's kind of a cool guy. As a high school principal I am always met with a certain level of surprise when people find out I am an avid crossfitter, but to me it only makes sense. As a kid I was a three season athlete in both football and track, but once I left school I also left the routines of building physical fitness for athletics. As I became more and more "unconditioned" I also found that my overall motivation decreased as my anxiety increased. When I eventually learned about the brain science behind the positive effects of physical activity on learning, motivation, and mental health, it became clear to me that I needed to get moving again. One day at the end of a very stressful first year as a middle school principal I noticed one of my teachers working out in the school hallway in a strange way. He was doing all sorts of squats, throwing a medicine ball up against a wall and catching it, and doing what seemed to be a million push-ups. He told me it was CrossFit, and eventually talked me into giving it a try. I don't recall the workout, but I do recall that I was sore for what felt like the next three weeks. I was hooked. Several years later I became the principal of the high school and brought CrossFit with me. I was fortunate enough to be able to build a small box in our school, become level one certified, and begin coaching both students and staff. In doing so I'm proud to be able to help share and spread the benefits of physical fitness as a learner in our school. Now I am also able to do so as a trainer at Green Mountain CrossFit North. My CrossFit journey started in 2015 when I realized how the previous 5 years of sitting at a desk doing computer work, 5 days a week, 9-5 each day, was adversely affecting my body. My childhood was spent earning a black belt in Shotokan Karate. High school was spent teaching kid karate classes, helping teach adult karate classes and expanding my studies into Judo, Brazilian jiu-jitsu, Wing Chun, and Muay Tai. College involved being a member of the Corps of Cadets at Norwich University. I still accredit my great push-ups to all those times I got in trouble in college. Growing up with such an active lifestyle, I knew I needed to find that again and I found it in CrossFit. 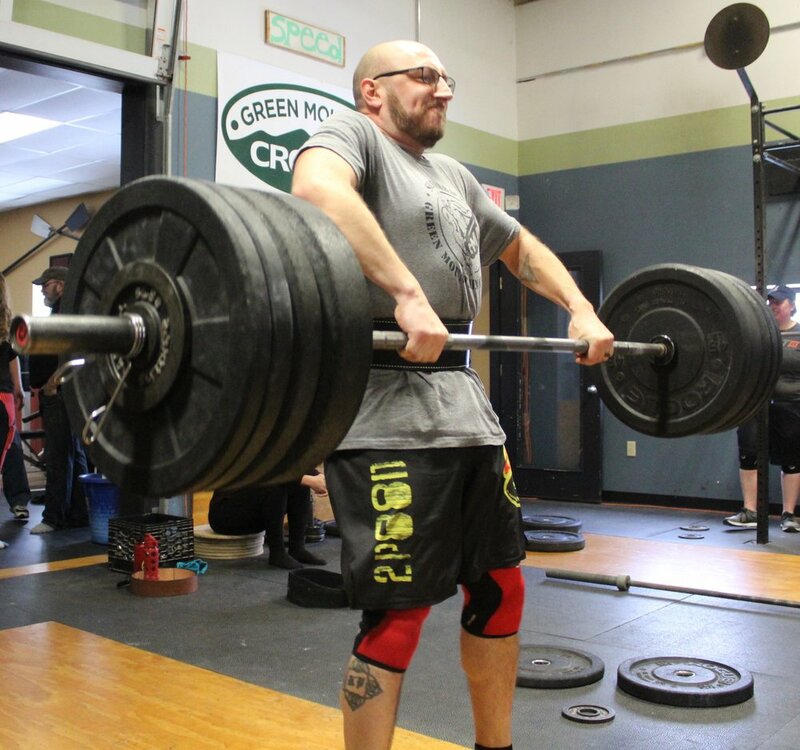 I joined Green Mountain CrossFit and jumped head first into a re-found healthy lifestyle. The coaching staff at GMCF helped make this transition both achievable and not nearly as intimidating as it first seemed. It took some time but I eventually learned not only a ton of new movements and verbiage, but also a ton about myself. After some time, I noticed I was no longer the newbie in class still figuring things out, but had become someone others in class looked to for help. Similar to my martial arts experience, I started helping others in classes, which quickly turned into me leading classes. I started coaching CrossFit class in 2017 and truly enjoy being part of this great coaching staff helping others start their CrossFit journey. I’ve come to rely on CrossFit to keep me healthy for my job and my family. As a full time firefighter/paramedic, my life literally depends on my body being in the best shape it can possibly be in. I also have a very active family and being in great shape allows me to keep up with them. CrossFit covers all of the bases and keeps me motivated to push myself out of my comfort zone. I’ve made tremendous gains in overall strength and stamina and have made some amazing friends within our CrossFit community. I certainly believe in the aims and methods of CrossFit and my goal is to pass along all that I’ve learned while at the same time bettering myself. My path as a personal trainer began with the desire to teach the people in my community the variety of techniques that I was using to keep my body strong and feeling physically confident. In the beginning, my certifications came as a way of “smoothing out the edges” in my own technique, in order to make it more welcoming to the beginner. My initial training had come in the form of years spent working through the learning processes of what to do, how to do it, and what to avoid all together. I could often be found in a basement, garage, loft, or shed lifting and writing, learning more and more about what I was feeling when I was working out, and how that was effecting my resilience and progression. My goals were to find the edges, to test the boundaries of what worked and what didn’t, and to high-grade the things that had the greatest positive impact. My approach as a trainer has always been to make sure that my students never have to go through a maze of injury and failed progress in order to reach their goals in training. Instead, I lead my students to learn from their successes and to continuously push their personal limits from a place that feels safe, and that continuously reinforces confidence in their ability.